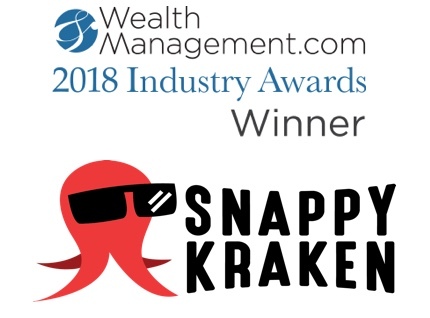 ORMOND BEACH, Fla., September 14, 2018	(Newswire.com) - Snappy Kraken, a MarTech company focused on helping financial professionals automate their marketing and business processes, was selected as a winner of the WealthManagement.com 2018 Industry Awards, the only awards program of its kind to honor outstanding achievements by companies and organizations that support financial advisor success. The awards were announced last night at a black-tie gala event at the Ziegfeld Ballroom in New York City. The winners were selected by a panel of independent judges made up of top names in the industry. A record number of nominations were submitted this year — more than 600 entries were received from nearly 250 companies. 156 organizations were selected as finalists in one or more of the 67 categories in this year’s awards program. To learn more about Snappy Kraken’s products and video services, go to www.SnappyKraken.com. Snappy Kraken is led by industry veteran and advisor marketing consultant Robert Sofia (www.RobertSofia.com). 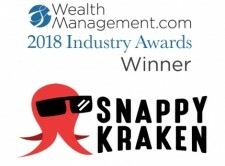 Learn more about Snappy Kraken at www.SnappyKraken.com.